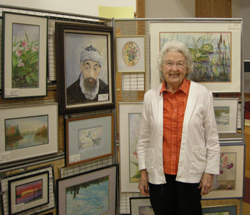 The Pine River Art Club is inviting all area painters, crafters and hobbiests to a informational get-together on Sunday, April 28 at The Warehouse Community Center in Pine River! Attendees will learn about the history of the club and get information on how to become a member and have a opportunity to share ideas and sell or show their wares at Art Club shows! Everyone is invited. Free coffee and cookies will be served! Father Mike Patullo Sunday Mass 10:00 A.M. Special Summerfest Event!